We currently have 650 of these Knoll Currents (Spine) with Knoll Morrison (Wings). 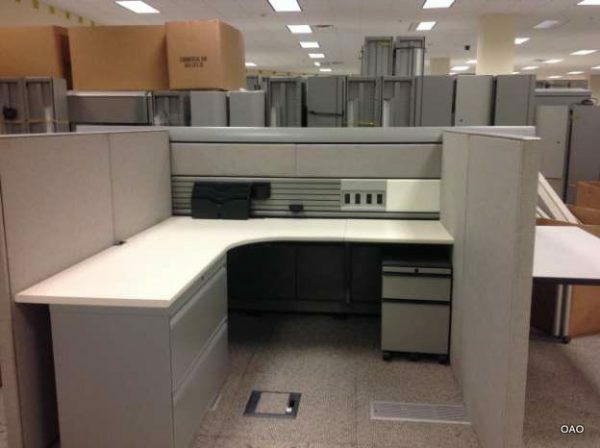 Each used office cubicle is 6X6 and 52″ tall. Each cubicle comes with one mobile pencil box file, one file file and can ship with or without an over head storage bin. Knoll Currents is renowned for being a very high end cubicle system. The wing panels can float along the spine so they are easily reconfigured. These neutral colors will match almost any office color scheme. Secure these cubicles for your office today.